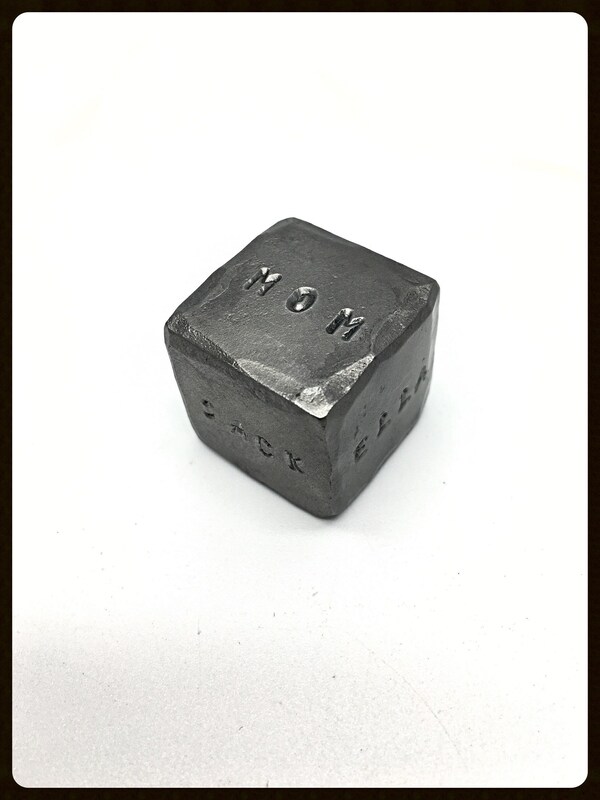 Personalize your own 1" custom hammered die with up to 5 letters or numbers on each side. Have fun with it, use your imagination. 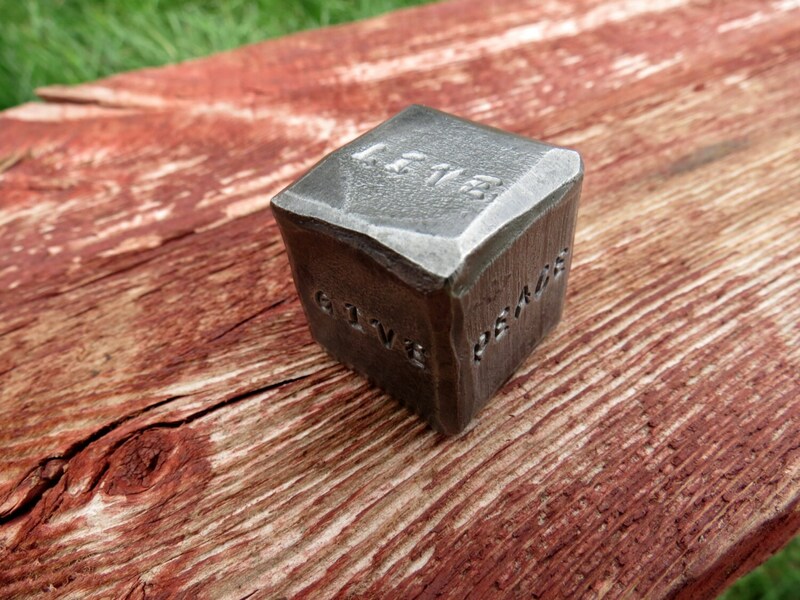 Useful or simply decorative, this custom die will be a conversation striker. By clicking "Add to Cart" , there will be a reserved space to leave a note. 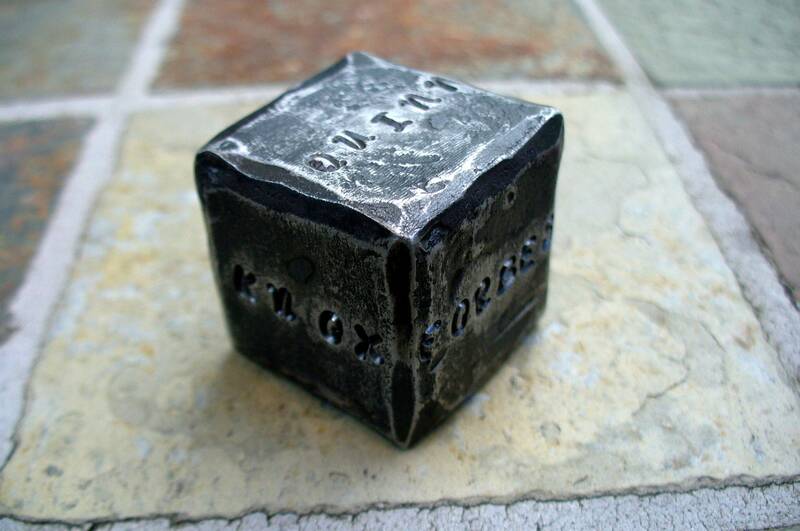 This is where you can write what you would like to have written on your personalized die. 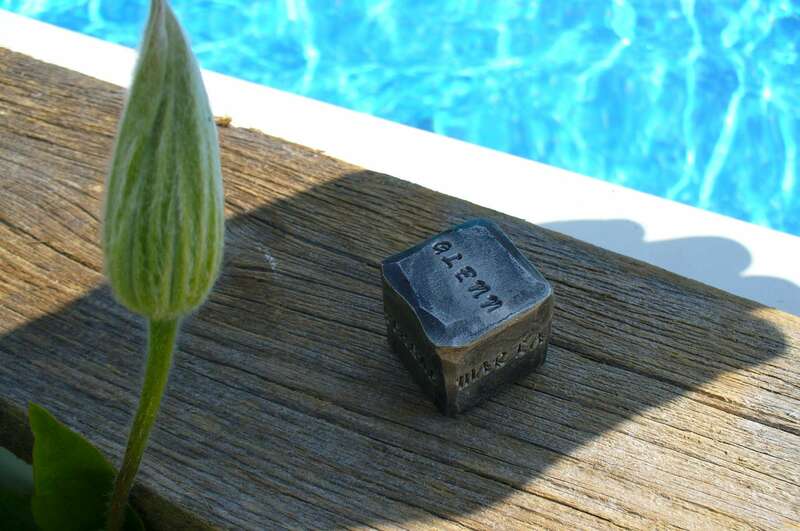 When you proceed to checkout I will receive your "note" and know exactly what to write on your personalized die. There is a limit of 5 "letters or numbers" on each side (6 sides to play with), please keep in mind that spaces count as taking the place of a "letter or number". This will confirm your order. After cleaning, I clear coat the die for protection and to keep the raw iron look. 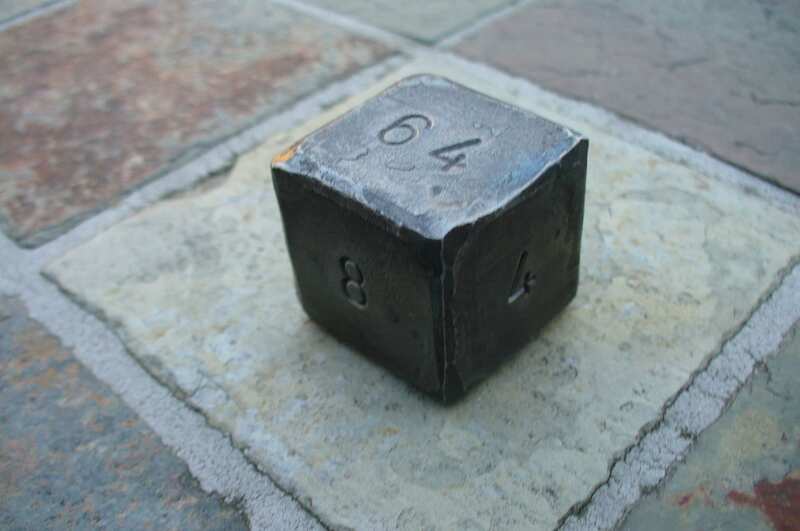 Each 1" die weights approximately 1/4 pounds. Please keep in mind your personalized item will all be made by hand and eye. Slight variations in letter distances etc...may occur but will add to that handmade warm look you can not get with a machine.